This KARE Trip was our biggest accomplishment to date! 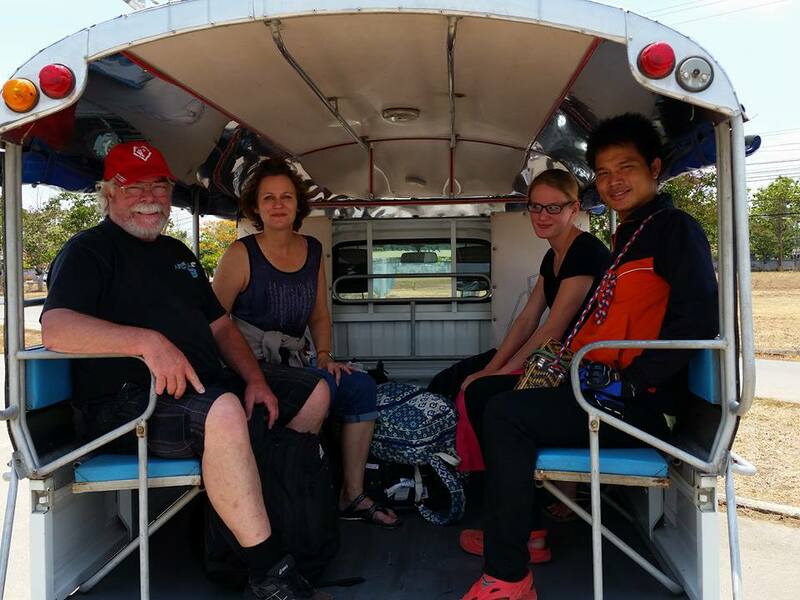 We delivered two pickup trucks very full of school supplies for three high schools at Mae Ra Moe refugee camp. 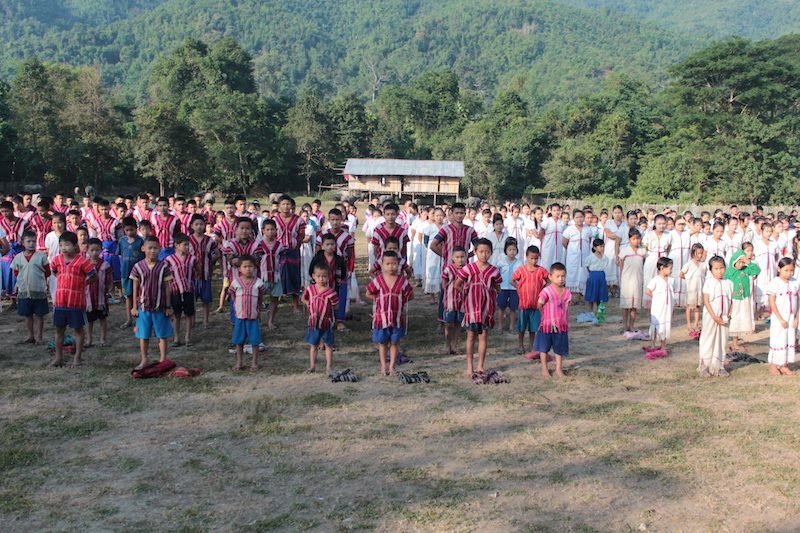 We also delivered 1 & 1/2 pickup trucks of school supplies to two high schools at Day Bu Noh village in Karen State in Burma (Myanmar). We discovered we were the first English teachers to volunteer there. What a privilege! All were very grateful for all of the supplies. We delivered pens, notebooks, pencils, colored pencils, printers, chalk, erasers, lots of A4 copy paper, tape, used (donated) laptop computers, a mimeograph machine and much more! Plus we delivered sports equipment for students to play soccer, volleyball, badminton and cane ball. It’s amazing how far your US and Australian $ donations go at the markets in Thailand. It’s only possible thanks to your generosity. Additionally, Project KARE has helped to coordinate visits by more wonderful volunteers at Mae Ra Moe Refugee Camp on the Thai/Burma border. Carla Fuller, Megan Fuller and Lee Chaudoin – Volunteer English teachers. All are from the USA and they have long established relationships with the Karen community supporting newly resettled refugees in South Carolina and Atlanta. 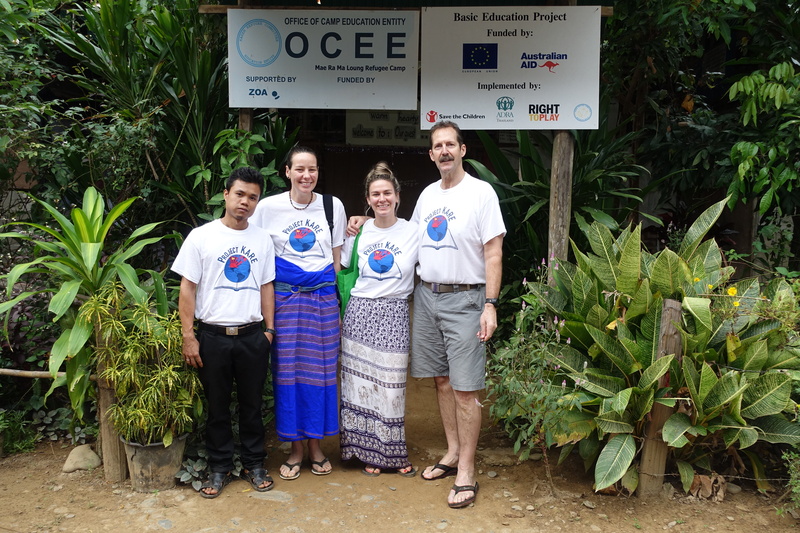 Claire Hutchings and Bill Tracey – Volunteer English teachers from Canada. Claire and Bill have Karen friends in Newfoundland Canada had an such an amazing time at Mae Ra Moe in October they’re already planning their return to camp!